The text and maps in this report are part A, and the database is part B. Consult the readme.txt file for a complete description of the report, including instructions for downloading and importing the files. This report is available on the web or on a single CD. 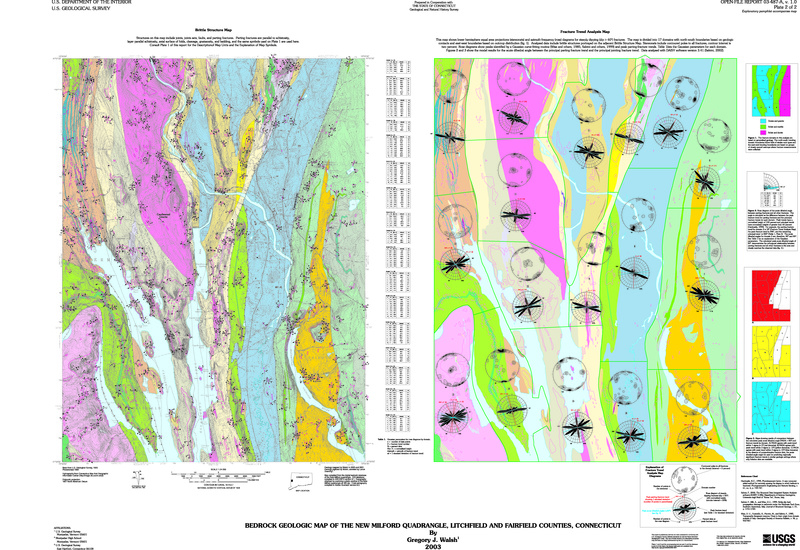 You can download most of the files at this website or order a complete CD from the USGS. The complete CD contains 118 photographs (413 Mb) that are not available on the web. The CD can be obtained by contacting any USGS Earth Science Information Center (ESIC) or call 1-888-ASK-USGS (1-888-275-8747). Screen resolution of03487s.pdf (2.1 Mb)(Section 508 compliant). Print resolution of03487p.pdf (11.8 Mb). Download the free Adobe Reader software. The PDF file is 49 pages on 8.5" x 11" paper. The GIS database is in unprojected geographic coordinates with units in decimal degrees (NAD83 datum). In Frequently Asked Questions format. This report is a BRASS product. 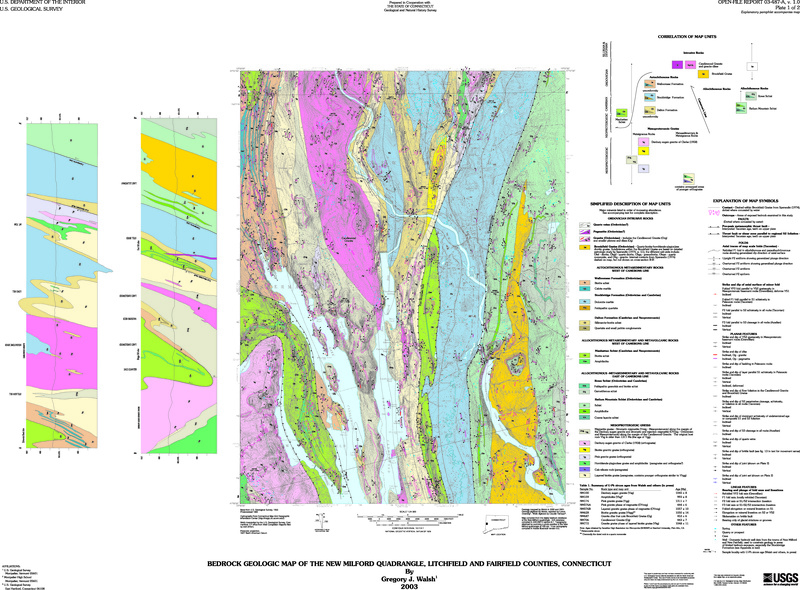 This report is preliminary and has not been reviewed for conformity with U.S. Geological Survey editorial standards (or with the North American Stratigraphic Code). Any use of trade, product, or firm names is for descriptive purposes only and does not constitute endorsement by the USGS. Although this database has been used by the U.S. Geological Survey, no warranty, expressed or implied, is made by the USGS as to the accuracy and functioning of the database and related program material, nor shall the fact of distribution constitute any such warranty, and no responsibility is assumed by the USGS in connection therewith.